In some cases, a Chicago furnace is not efficient due to the indoor air quality. It won’t blow enough air through vents to keep the house warm. When this happens, the actual cause of the problem might surprise you. 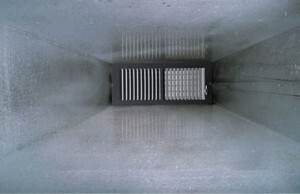 When dirt, dust, and grime build up within the machine enough, the airflow can be blocked. A dirty furnace won’t be as efficient. It will also blow dirty air throughout the home. With the dry air that a furnace usually creates, occupants of the home can tend to get sinus infections or other similar problems. Add dirty air to the equation and you can see why illness can be a problem during the heating season. Most dust particles are made of human and animal skin particles called dander. The dust mites live on these particles and thrive. This is what we breathe in when the indoor air pollution is not good. You can make it a point to brush animals outside to keep the dander and pet hair at bay and avoid adding it to your indoor air where it will later irritate sinuses and lungs. Allergens and colds are common in homes where there is a buildup of pet dander, dust, or mold and mildew. Poisonous gasses are also an issue in some areas. It’s important for every home to have some type of air purification system so that the air is cleaner and occupants stay healthier. You may want to consider getting an air cleaner or possibly a UV light system for your home in Chicago. A whole home air cleaner continually purifies the air throughout the house, while a UV light system is installed in your HVAC system. They both work to clean the HVAC system and the indoor air. These air cleaning systems not only keep your air clean but serve to lengthen the life of your furnace. Certain parts in your HVAC system need to be clean or the grime buildup causes mechanical problems. Carpet can be a major factor in indoor air pollution. It is a harbor for dust, dirt, and allergens. If you have allergy problems, you’ll probably suffer until you remove these contaminants from the carpeting in your home. The carpet holds particles, letting them drop down deep into the fibers. As the carpet is traversed and moved around, it releases the particles in the air. If you’ve ever seen carpet replaced, you’ll know what we mean when we say that carpeting gets dirty. Without fail, when carpeting is removed, all kinds of dirt and dust are layered along the flooring. Over time, the carpet smells dirty and the home dusty. If you would like more information about Indoor Air Quality in Chicago, please call Air Choice Heating & Cooling at 630-501-8027 or complete our online request form.